Steven Seagal Meet The Fans Session! KUCHING: Hollywood action movie star Steven Seagal will be meeting his fans in Kuching on April 27, as the special guest for the 4th Asean International Film Festival Awards (AIFFA) 2019. Sarawak Tourism, Arts, Culture, Youth and Sports Minister Datuk Abdul Karim Rahman Hamzah said the American actor is well known for martial arts films that go back as far as in the 80s, such as Under Siege and Hard to Kill. Steven Seagal will meet his fans at the Old Courthouse at 3pm, followed by a Gala Dinner Pullman Hotel at 7pm. “His local fans will have the chance to meet him while we hope those (fans) in the neighbouring countries will also make a trip here as it is such a golden opportunity,” he said. “In the past, we have Michelle Yeoh, Jackie Chan and Donnie Yen, making AIFFA one of the premier film festivals in the Asean region,” he added. Plot: Jake Alexander (Sensei Seagal) is a CIA Global Response Staff (GRS) contractor, Southeast Asia division. He is sent on assignment to Macau to apprehend international banker money launderer Walter Thompson. Aided by Macau police chief Chau Ho-Yan, Jake captures Thompson, with the intention of turning Thompson into a witness against those for whom he launders money. But the mission runs afoul when Seagal butts heads with some arms dealers and the situation deteriorates. General Commander will be released on May 28th. ATTN: STEVEN SEAGAL FANS IN AUSTRALIA! HIS FIRST EVER AUSTRALIAN TOUR THIS FEBRUARY!!! Join Action Icon Steven Seagal for an evening in Sydney and Melbourne as he discuss his life & career in depth like never before. We will revisit his classic hits, fight scenes, talk all things martial arts and more. Enjoy rarely seen photos and footage in our career retrospective while he is interviewed on-stage. This fully interactive evening is one not to be missed! Tickets from $69. Limited Photo Op Tickets also available. This is a limited event and will sell out. Since filming for Attrition started I have been in close contact with director Mathieu Weschler. A very nice person and I am really thankfull to him that he wanted to do an interview exclusively for our site! He is from France, so he tried to give his best English. involved in the movie business? Exclusive interview / chat with Steven Seagal! last Saturday 365flix gave me a free pass to join the chat with Steven Seagal. It was awesome to represent our forum! Since there weren't so many users online, Steven answered a lot of my questions. He also knew that I was a representive of this website. Any way here is the report. A video of the chat will follow later today! Attrition was directed by Mathieu Weschler. How was it to work with him? Can you tell something about your upcoming movie General Commander also to be released by 365flix? What is it about? Attrition and General Commander will be released through this platform. 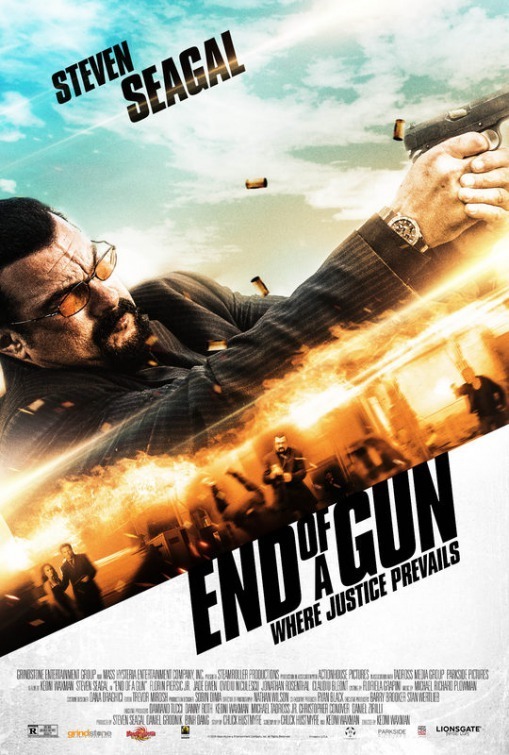 Action legend Steven Seagal headlines this explosive thriller that pits U.S. forces against an Eastern European drug cartel. When crime boss Salazar turns informant, U.S. Marshal Jensen (Luke Goss, Blade II) and his team must guard their luxury-hotel safe house. But as cartel underboss Sinclaire (UFC fighter Georges St. Pierre) and his hit squads descend to murder Salazar, the situation explodes, enraging Agent Harrison (Seagal), who will stop at nothing to root out the mole that compromised the operation. Movies Interview With Matthias Titus Paar!! I did an exclusive interview with the director of The Perfect Weapon, Matthias Titus Paar. Read the result below!!! Thank you Mr. Paar for willing to do this interview for us!! 1. Can you tell something about yourself? How did you become involved in the movie business? Hey guys, I´m from Sweden, at a young age I started watching the cool 80´s movies with Arnold, Van Dame and Seagal and had a dream of one day doing that myself. At the age of 15 I made my first feature in 1999. Since then I have done about 7 features, 40 short film, probably 500 commercials and tons of music videos. I live and breath film. 2. First you made some movies in Sweden. How did you get involved in the making of The Perfect Weapon? Special Agent John Harmon is called back into action when the CIA stumbles upon evidence that a dangerous group of extremists is planning to join forces with a drug cartel. He assembles a high tech team of operatives and devises a daring operation to turn the two groups against each other in an explosive confrontation. Two American expatriates, Jack and Sam, unwittingly steal a drug lord's money when they rob a series of banks in Southeast Asia and become the target of the gang's vengeance. When Sam is killed, Jack turns to the love of his life, Pom, and the couple becomes a modern-day Bonnie and Clyde that takes the fight to the gang. Seagal will play an ex-ATF agent who comes across a woman being beaten by her boyfriend in a mall parking lot. He’s forced to kill the assailant and finds himself facing possible criminal charges and an offer from the woman to help her steal $2 million hidden in the trunk of her boyfriend’s car in the police impound lot. Maybe this is the big movie they will make later this year? An elite team of DEA agents are assigned to protect a dangerous drug lord and take refuge in a luxury hotel while they await extraction. They soon find themselves at the center of an ambush as the drug lord's former associates launch an explosive assault on the hotel. Reelz channel has just aqquired all seasons of Lawman including the lost third season. Airing begins in January for the new season.